After a hectic weekend ,I got some time to write a post for this blog.I was quite involved past 2 days in a new blog website Web and Computer Tech.Meanwhile I wanted to make aware of this program that is excellent in my view to earn.This is quite easy way to earn £100 per month.This program is Cashbackwow. Have you heard this program?If not,do not worry.This is no scam .This is genuine and alive for past many years. How to join?Enter Cashbackwow in your URL and Enter your details.This program is free for all.You do not need to pay a single penny to join.But this program suits more to UK citizen. 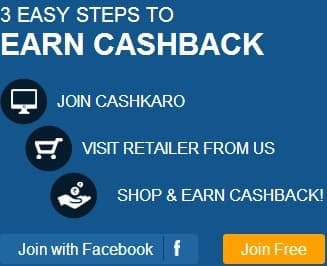 How to Earn?This program pays you in different ways.Are you fond online shopping?If yes,this is perfect place since you are going to get here special discount coupon as well as cash awards.There are many general other activities through which any one can earn like participate in survey,review products,give opinions on any products and sign up for a program and in result , you get cash awards. When will you receive payment?Once your account gets activated and your account balance reaches £25.You get paid.This is monthly payment. What is Payment method?You can get paid via BACS(Bank Account Transfer) or Amazon Gift Voucher with 5% extra. Join now and earn extra £5.Sign up here.